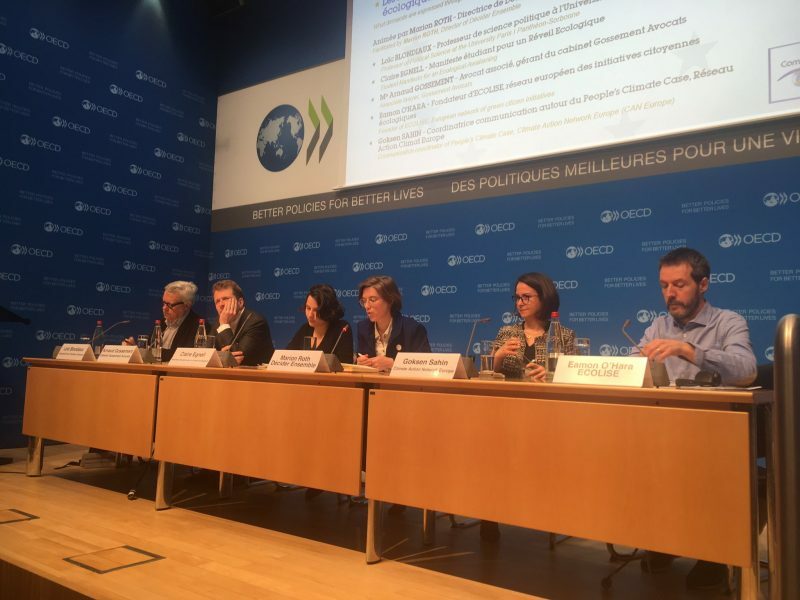 Community-led initiatives are an essential part of the response to the climate emergency, yet they are still not on the radar of policy makers and do not get the recognition and support necessary, Eamon O’Hara, executive director of ECOLISE, recently told a high-level conference in Paris. It is essential that the barriers to community-led initiatives on climate change and sustainability are clearly removed, he told the conference. In the short term funding and enabling policy would facilitate such community action, while in the longer term key measures such as universal basic income must be considered. Organised by Comité21, the main French network of organisations and people working on sustainable development, the event focussed on “ecological citizenship” in Europe and how it affects the pace of ecological transition and also the European Union. It was hosted by the OECD.